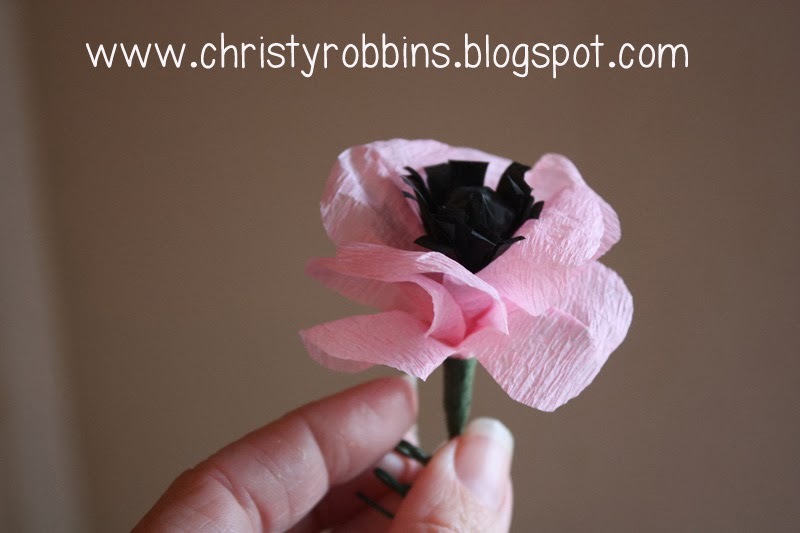 I made these little poppies recently using some scraps of stuff around my house. These are going to be some toppers for a favor I'm giving out at an upcoming party. I cut some floral wire into fourths and found some plastic (from my recycling bin...a piece of a bag. I squished it into a ball. I placed the plastic ball onto the top of the wire and covered it with a little square of black tissue paper. I wrapped the bottom in a little piece of floral tape. I made fringe out of a piece of 2x8 inch tissue paper. I wrapped this around the middle ball. ...and added some more floral tape. 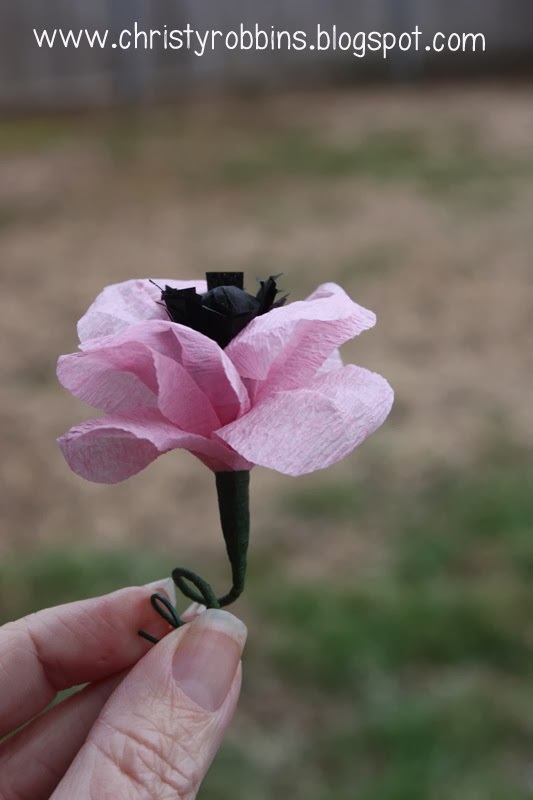 I cut out a petal shape from some old streamers (about a 2 1/2 inch piece). I cut 5 or 6 of these per flower. I pinched the end and pulled it back over my thumb to make it curl out a little. I started wrapping my petals around my middle...keeping it just a tad taller than the middle. I just kept building it until it looked about right. I added more floral wire and curled the end. Coming soon to a party favor near me.